From the outset of my time in the public sphere, I have been against a seemingly needless division and splintering of the concept of Contemporary Paganism as a religious grouping or term. As an example, I loathe the term “neopagan” in any of its iterations. If one looks at the history of the word and concept of “paganism” as it has been used inside academia and outside, the term simply does not make any sense. The traditional use of “pagan” has, since the fourth century, meant one who is a non-Christian. This use of the term persisted throughout Christian-dominated discourse, often with strict negative connotations. It has only been comparatively recently that there has been a push to more accurately define traditional “paganism” in the contexts of their cultures, as individual indigenous belief structures and religious enactments. Neopagan, then, implies a “new not-Christian”. It continues to hold back the development of an identity by dragging the concept of the “Pagan self” back into a Christian-oriented paradigm. It effectively puts the whole of the movement (as it exists) back within the shadow of Christian-dominated ideology. I have found that most people who profess to be Pagans cannot properly articulate what their religious practices are and defining their “religion” without inversely comparing it to Christianity. Ask someone to describe part of their religion and they may say “We do not believe in Original Sin”, instead of describing their theology. Is it because they figure that framing their explanation within a Christian context helps to inform whomever they are talking to? Or is it because they do not know how to articulate their theology without doing such? I believe it is more the latter. This is obviously problematic for the creation of a healthy self-image. So because I have detested the needless division of “Paganism”, I followed a system of treating that word as a proper noun – making a clear distinction between traditional (or “academic”) paganism and Paganism. To further drive home the fact that this religious grouping is very much a new religious movement, I have followed a handful of scholars and writers int he use of “Contemporary Paganism” as a qualifier. It makes a bit more sense than “neopagan”, despite being a bit more clunky to write. But it’s becoming clear to me – perhaps finally – that this terminological use is insufficient due to the varying philosophies, theologies, and agendas that are often at odds within the public fora of Contemporary Paganism. Of particular note and interest is the shifting and moving definitions (and, in some cases, goalposts) of what constitutes a “religion”. This is often done in order to accommodate some of these philosophical and theological outlooks (and, I find, necessarily edge others out). So it is perhaps important that we define what “religion” is, and how it should be approached in the discussion of the contemporary iteration of Paganism as a new religious movement. And, above all, whether Paganism qualifies. We shall be going back to basics, as it were. (uncountable) The belief in and worship of a supernatural controlling power, especially a personal god or gods. (countable) A particular system of faith and worship. “Religion” in colloquial parlance has evolved from describing a system of belief and worship to anything which one might find a zealous adherence to – sports teams, political affiliation, other ideologies. So the dictionary definition is particularly unhelpful, if anything can be considered a “religion” if there’s enough conviction. I find that it also helps to look at the various definitions from disciplines that actually study the emergence of religion as a human institution. The anthropological definition, in some quality, of religion is: a set of attitudes, beliefs, and practices pertaining to a supernatural power. A further breakdown shows a distinct difference in the function and role of religion in society. “Religion is ‘a verbal and nonverbal structure of interactions with superhuman being(s).” – Hans Penner, Impasse and Resolution: A Critique on the Study of Religion. “[Religion is] a convenient label that we use to put together all the ideas, actions, rules, and objects that have to do with the existence and properties of superhuman agents such as God.” – Pascal Boyer, Religion Explained: The Evolutionary Origins of Religious Thought. “All religions follow the same structural contours. They invoke supernatural agents to deal with emotionally eruptive existential anxieties, such as loneliness, calamity, and death. They have malevolent and predatory deities, as well as many benevolent and protective ones.” – Scott Atran, “Religion’s Social and Cognitive Landscape”, in Handbook of Cultural Psychology. It is held, with fair frequency, that the overwhelming definition of a “religion” is a series or grouping of rites, practices, and beliefs which concern themselves with both human society and the “intersection of” or “concern with” a supernatural power. There will be disputes to any of these definitions, of course. Durkheim also said that religion can appear and change due to the needs of society and the culture in question – which necessarily means that the concept is not as static as some people would otherwise like. But it also needs to be remembered that “religion” as a term is definitely influenced by our own cultural contexts, with a nuanced history of being informed by Christian and Romanticist concepts as to what constitutes “real” or “valid” religion. This is the case in various scholastic circles predating the mid-20th century. These definitions come in and out of vogue, as with many things in the course of human events and, despite the foundational quality to religion as a feature of society, this creates these shifting opinions as to the essential nature of religion. All too frequently these attempts to describe “religion” are monothetic when it is perhaps best described as a polythetic practice. That is, the act and description of religion cannot necessarily be reduced down to a single basic idea or principle, often transcending ontological or epistemological concerns. More simply put: religion cannot be properly described according solely to a checklist of attributes. Stanley K. Stowers has a lengthy description of what he considers the polythetic aspects of a definition of “religion”, as presented in his paper “Theorizing the Religion of Ancient Households and Families“ and published in Household and Family Religion in Antiquity. One of the characteristic and most inherent flaws in the discussion of religion, either in the discussion within the contemporaneous expression of Paganism or other discussions of historic incidences within the wider academic community, is that any discussion treats these myriad practices as autonomous from the human condition of society and culture. “Religion is a class of practices that involve a broader, species-wide cognitive propensity.”, Stowers describes. There are no clear boundaries at the margins for what is or is not “religious”, or what constitutes a “religion”. This is especially true when one speaks to the nature of folk religion, which much of Contemporary Paganism follows. These religious beliefs can splinter off and justifiably be considered within the realms of philosophy, “folk science”, psychology, mythology, etc. These disciplines all constitute what a religion is, which can’t be reduced down easily (if at all). This also ties neatly into my partial discussion about how the definition of “secular” space is inherently a triumph of hegemonic monotheism and that those Western polytheists that don’t see a distinction in the spheres of secular and religious. What is clearest is that we can see there is no working definition of “religion” that is going to satisfy everyone within the conversation. Each individual is going to have their own perceptions based on their practice, traditions, academic backgrounds, and experiences if at all applicable. Any quality of the definition of the word “religion” is going to be, at most, “not bad”. Let alone “good” or “perfect”. If we approach religion as a polythetic experience, a spectrum of interrelated practices, beliefs, and systems which cannot necessarily be reduced down to a minimum essentialistic nature, then we have to accept that there is never going to be a perfect definition. It is the unicorn of religious studies. Those definitions which I employ above are based on three or four disciplines of academia, all of which concern themselves with social science (and thus, empiricism). They are not perfect, and they do not cover all facets of religious definition, but if we treat the term “supernatural” (itself problematic) not necessarily as concerning the worship of “gods” but instead concerning with greater-than-human powers, then we see the number of recognized religions which would be edged out by definition are few in number. Even Jainism, the posterchild example in the West of a “non-theistic religion”, recognizes and engages with a variety of supernatural beings, depending on the philosophical school. There’s also something to be said about the fetishization by the West of Eastern religions for political purposes or other agendas. How does this discussion of the definition of religion tie in with the contemporary incidence of Paganism? Paganism is a similarly difficult concept to articulate properly. Its traditional monothetic definition (a “nature-based” fertility religion) has fallen out of favor for a polythetic definition (a spectrum of religious identities which are likewise “not bad” in definition). Contemporary Paganism consists of both “true” new religious movements (Druidism/Druidry, Wicca/British Traditional Witchcraft, etc.) and traditionalist pagan revivals or restorations (reconstructionist/revivalist polytheistic traditions like Heathenry or the Religio Romana, etc.). On paper, they do not seem to have much in common, yet are nevertheless grouped under the term of Contemporary Paganism. A number of male and female deities. An understanding of gods and humans as codependent and related. There are others, of course. This list is neither comprehensive, nor wholly indicative. But it is a useful baseline in comparing “Pagan” religions with other world religions. Though Michael York’s writing treats this list as a historic incidence, I find that much of Contemporary Paganism features these. What we see here is that these religious qualities largely persist across both of the spectrums of Contemporary Paganism. That is, they are features in some way in the “New Religions” and the “Revived Religions”. I will attempt to describe. In the case of these traditions, divinity is directly experienced and intertwined with the visible and material world. This is true of a polytheistic revivalist, a dualistic Wiccan, or a panentheistic druid or a vaguely Emersonian naturalist. The wills of these religions do not seek to transcend the world around them and recognize that we are only a tiny part of a larger whole. Where they differ is in their concern for the recognition of the numinous divine. This is the nature of corpo-spirituality. It does not matter if divinity is a staunch multiplicity, a theological duality, or a distant universality of all (or most things). It is immanent and inherent in the world. Amusingly, this extends towards a predisposition to classical concepts of “idolatry”, featuring the sacredness of place and thing in a way which inherently makes Christianity uncomfortable. Paganism is generally said, and commonly argued, to be concerned with orthopraxy over orthodoxy, that there is more emphasis on the proper action instead of proper belief. I would perhaps make the argument that it is a blend of ritualism and orthopraxis instead. Ritual efficacy and the role of custom, in both life and ritual, in the proper enactment of religious expression is seen. What we cannot say is that belief is unimportant to any kind of theism. It is simply that the adjudication of orthodoxy is less of a concern. One must understand the theory (belief) to put it into action (praxis). At first glance, York’s inclusion of “magical practice” as a qualifier for pre-Christian pagan religions (and thus, something that Contemporary Paganism is indebted to) might appear to be out of place, particularly with some religious philosophies opposed to the idea of “magic”. Modern concepts of “magic” are conflated with the ceremonial magic of Wicca and British Traditional Witchcraft, inherited from the esotericist orders of the late Victorian era. It is to be remembered, however, that “magical practice” in the context of some of these traditions include various operations of sacrifice, bribery, “low magic” (cunningcraft), and other similar items. Even prayer, with its formulaic and intentional purpose, can be argued as a magical process. I do find the term “deity” and “gods” to be particularly loaded, and one of my concerns with York’s list of these traditional qualities are the use of these terms. There is an unfortunate baggage which arises from the use of these words, constituting an unnecessary predisposition towards the concept of the “big gods” – that the term “god” must be a figure of renown as Jupiter or Odin. The study of traditional pagan cultures would show that the terms “deity” and “god” can include a plethora of varying divine figures including, but necessarily limited to, deified ancestral figures, nonspecific local spirits, tutelary beings of limited scope, and those traditional divine figures of renown and ethno-cultural importance. This baggage is paramount in some modern restorations – notably Heathenry – who view these beings through an unnecessary lens of “power” or hierarchy, limiting the fundamental understanding of the importance of the “small gods”. The theological language of modern Paganism is still very much couched within a Christo-centric world, and care should be made in light of that. The theological understanding of these beings in antiquity was nuanced, but few were viewed as “lesser” which the modern hierarchy would like to portray. They simply held different roles and spheres of influence. York’s biggest distinction in the incidence of Contemporary Paganism with traditional pre-Christian paganism (classified by him as neopagan, geopagan, and recopagan, all terms which I consider problematic) is the lack of emphasis on shrine and temple culture that the latter had promulgated. What I believe he is referencing is more the establishment of a formalized priesthood, because the concept of the sacredness of space and delineation of sacred and profane is largely unchanged across the Paganisms. The age of York’s book is apparent, given his articulation that “contemporary neopagans” do not exhibit a devotional quality before altars. An inherent issue in hiving off the traditional, Christo-centric definition of “pagan” from the concept of Contemporary Paganism is what exactly the term incompasses. As we’ve seen above, the concept of Paganism as a religion largely holds true throughout the contemporary incidence of it. But so too do many other worldwide cultures. In this way, “paganism” as a concept is very much like the usage of “shamanism”: it unhelpfully describes a collection of attitudes and folk practices, some of which can span the globe. It implies that these practices are “the same”, across cultures, which lessens the overall impact each might have in their respective group. This causes a reduction of agency of the individual religious traditions, and tries to force them into a Christian-themed paradigm. It encourages a sometimes deleterious concept of “mutual ownership”, leading to negative practices of cultural appropriation. All three of these issues are problematic in their own way, although one and two are intrinsically linked together. Calling a tradition like African Tribal/Diasporic Religion (ATR/ADR), Shinto, or Hindusim (among others) “pagan” tends to receive negative responses, because of the implication that these cultures are “outsiders” in their own cultural and social context. It diminishes their rich history, their own traditions, and the experiences of their religious developments. Jordan Paper’s book The Deities are Many discusses this a bit, and the (then) growing trend of the recognition of indigenous practices in their own contexts. The third point is one that is particularly important to me, as someone who identifies as a Contemporary Pagan. The popular expression of Paganism when it became semi-”mainstream” in the 1990s often relied on appropriating concepts from other religions in order to fill gaps in practice or belief, or because it interested the practitioner, or any number of reasons. The closeness at the time between Paganism and the New Age movement encouraged a brand of eclecticism (used here not as a pejorative) and cherry picking which was ultimately harmful to many of the cultures which were being drawn from. 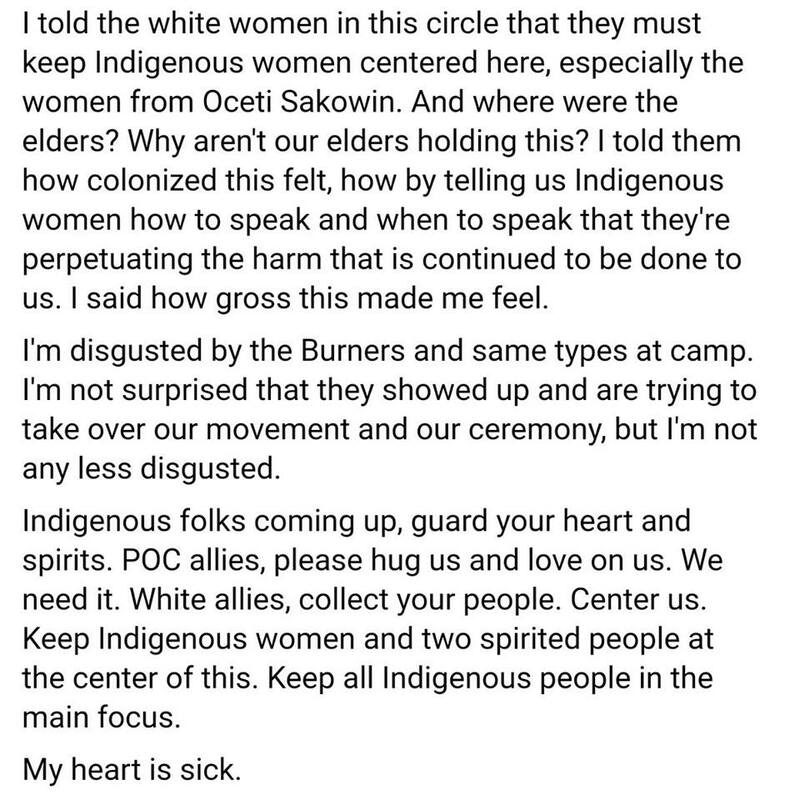 We see this attitude replicated again and again, and one of the most recent and extreme examples I can think of came from the recent struggle at Standing Rock and the actions of some of the “allies” there (Part 1, Part 2). 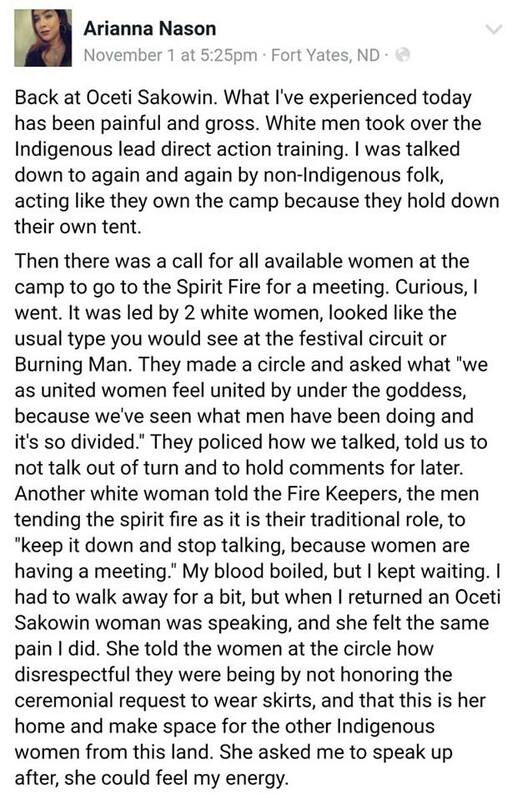 While we’re not sure that these women were “Pagan”, this attitude is all too frequent. The discussion of this practice merits its own entry. But the value in narrower definitions, as tools to generate a more thorough identity should be shown. A group with a watery and ill-defined identity will not have a firm foundation in order to thrive – as a comparison, the Unitarian Universalist membership and reenrollment have been trending downward every year since 2008. One of the methods I employ in the definition of “Contemporary Paganism” as a distinct religious grouping is to utilize a firm cultural boundary, and I extend it to the religions which are either largely descended from (revived) or inspired by the folk religions of both the European-Mediterranean and Mesopotamian cultural basins. This positions Contemporary Paganism as a purely Western religious expression, recognizing and advocating for a distinct identity which can be erected, and reasonably encompasses the history of “the West” (Pre-Classical and Classical antiquity), while at the same time including new religious movements that are inspired by that expression. Of course, not everyone will agree. But I find that the definition, again, is “not bad”. And, what’s more, it’s workable. By studying these new religious movements and the revived traditionalist religions of Contemporary Paganism, we see that Paganism aligns with the themes and essential concepts of religion. Its emphasis on supernatural/greater-than-human interaction, the definition of a continuum of sacredness and delineation of profanity, and an inherently foundational concept of interrelated and codependent reciprocity all assist in positioning Contemporary Paganism as a religio-spiritual institution. Where these Pagan religions differ are in the emphasis placed upon these facets. Like Stowers said in the quote previously shared, “religion” is a problematic term, with numerous pitfalls and qualities that are inextricably linked. It ultimately encompasses, not excludes, a diversity of discipline and opinion, which form the totality of its expression within a culture. Paganism, as a contemporary religious grouping, is likewise problematic and encompasses disciplines as theology, philosophy, and folk psychology, which all inform its existence. In comparing modern iterations of Pagan religiosity with traditional concepts of pre-Christian pagan religion, we see that it is a series of orthopraxic and ritualistic lineages within what amounts to a truly multi-faith milieu. When approaching Contemporary Paganism and contrasting it to traditional concepts of “pagan religiosity”, we’re struck with the growing development that within Contemporary Paganism of two distinct interpretations. The first is to treat Paganism, as I have done here, as a religio-spiritual edifice. The second is to treat Paganism in the vein reminiscent of Loyal Rue and Ursula Goodenough and approach it, instead, as an “attitude”. Perspective,” in Handbook of Cultural Psychology, edited by Shinobu Kitayama and Dov Cohen, pgs 417-453. New York: Guilford Press, 2007. Goodenough, Ursula. “Religious Naturalism and naturalizing morality”, Zygon no: 38. 2003: 101-109. Penner, Hans. Impasse and Resolution: A Critique on the Study of Religion. New York: Peter Lang Publishing, 1983. Paper, Jordan. The Deities are Many: A Polytheistic Theology. Albany, New York: State University of New York Press, 2005. Rue, Loyal. Nature is Enough. Albany, New York: State University of New York Press, 2011. Stowers, Stanley K. “Theorizing the Religion of Ancient Households and Families“ in Household and Family Religion in Antiquity, edited by John Bodel and Saul M. Olyan. Malden, Massachusetts: Wiley-Blackwell Publishing, 2008. York, Michael. 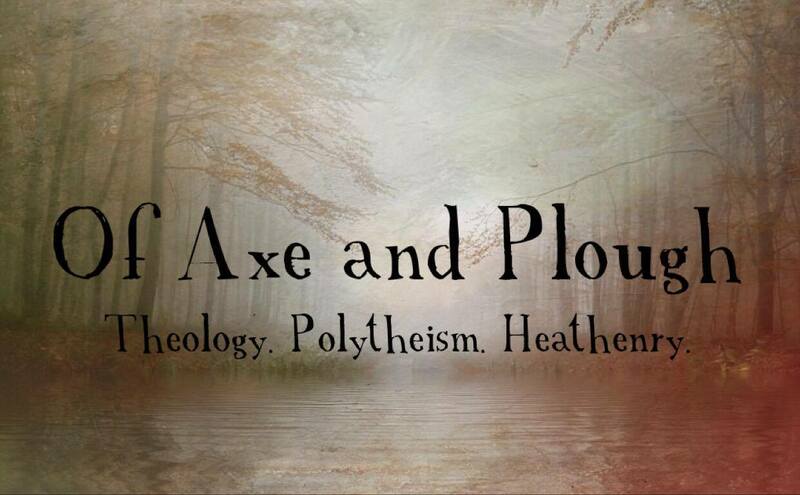 Pagan Theology: Paganism as a World Religion. New York: New York University Press 2003. What occurred to me, and something that you have pointed out, is how many Pagans define themselves in what they are not – not believers in deities, not believers in sin, etc. Even in the “My Polytheism” blogs that sprouted up last year, many people defined themselves as what they were not before they discussed a bit of what they were. Even then, it was more fuzzy and vague, and quite frankly emotive than particular in theology. I still really don’t know what many of the bloggers believe, but I do know what they don’t believe. I am curious is that because people who come into Paganism are not well versed in religion or are rejected a religion thrust upon them? They seem not to form religious thought except for maybe the Three Fold Rule and the Charge of the Goddess. What do you see that the problem is? It appears that York identifies “neopaganism” as specifically goddess worship and Wicca. Recopagan he identifies to be the “reconstructed traditions” and Geopaganism he identifies as “spontaneous folk expression” that identifies place. I don’t like any of them. There’s a few problems, I think. But the biggest one is the inclusion of the counterculture attitudes of the 60s and 70s which did their best to destroy the notion of tradition, hierarchy, or parameters. It was further eroded by the New Age movement. Many of them do not- especially when they come thru the New Age gateway, and have a loose religious upbringing or none at all. I also believe it’s gotten worse as information has become more widely dispersed and watered down. Though I began my interest in Paganism in the Silver Ravenwolf era, I also started reading academic books on feminist theology (Christianity & Judaism) before getting more into Paganism, though ironically the women’s/feminist spirituality wing never really “stuck” on me. The My Polytheism thing seems in some ways more of a reaction to a perception that Someone is limiting what polytheism is, while I’ve always seen various folks’ declarations as their own. I am SO done with the Not Christian! Ewww Anything Religious Is Too Christian! people, between Paganism & GLBT folks, & lefties generally. My upbringing was more liberal, and I’m not helping people unpack their baggage. Therapists are that away…. “Pagan” is an adjective, it is not a noun. It means (more-or-less) “red-neck.” I do not like this word — at all. “Paganism” is NOT and has NEVER been A religion. It is laziness to think so. A Hindu polytheist today will take you to task over this, believe me. So called “Modern Paganism” is merely generic neo-wicca or atheistic/agnostic tree-huggism/nature worship. Wicca is a modern mystery religion. New Agers have all been fairly dim in their knowledge of philosophy/theology. So, do NOT dare call my worship of the Hellenic pantheon pagan. I’ll scratch your eyes out. Aristotle would have as well. “Pagan” is a noun in English, and has been since its inclusion into the language in the 1300s. It’s also a noun in Estonian, and a few other languages. It has only been a “proper noun” fairly recently. But terminology changes. And it’s foolish to think that it remains static. And we’re witnessing that change with the efforts to codify the identity of what constitutes Contemporary Paganism, pulling it out from the understanding of a watery Wicco-Celtic and Wiccanate identity. If you read my writing, you’d have seen that I position Paganism as a collection of religions that are distantly related. It’s pretty clear if you read through my archives that I don’t consider it a singular religious identity, and there is value in using the term. Value which can be lost if there’s kneejerk baggage involved. I won’t call anyone a Pagan if they do not want it. But I’d also expect them not to bother with self-identified Pagan spaces. I stumbled over your blog today. I will stop by periodically to see your posts. I started my walk of Paganism around 1992 when I left a very conservative Christian church which I had been actively as an adult for 25 years. At the time I was studying biblical cycles and stepped into Astrology. This proved extremely helpful in my spiritual journey. The New Age movement was blooming all around me at the time. It seem though I could not “ring to that bell”. At the time most material I found available was either New Age of Wicca. We all start somewhere as you know. Then I found I responded better to the Norse version of Wicca. The process of discovery has taken me through a variety of explorations. Yes I became a “picker and choser” in my spiritual development. What I thought would work and didn’t I dropped even when it seemed like such a good idea. I am a tester and so am always looking for what works. My research reveals that my ancient blood were business people. They established trading networks all over the Eurasia continent. They were multilingual [I wish I was but I am not] in many areas and of course used their trading knowledge to know where to raid when needed. Even my genealogy demonstrates they operated small business, farms and even boat cargo carriers on the canals in Europe. When they came to the US they continued doing business plus help set up NC, KY, IN, Ill, NE and then pushed to the West Coast. I am academic driven with two MBAs but yet I have found that application is the “key”. I read in your “about” section that you are in a fluid state as well. The hearth is extremely important to me. My life has centered around my family and a 50 year marriage. So many of the groups seem to be for the single or those that have not experienced children in their personal lives. I have desired to set up the family spiritually and financially to last more than one generation. I have lived in large cities, small towns, farming areas, logging areas and military communities on three corners of the US. The log house was fun but now the urban home meets our needs. Yet the expression of the principles and recognition of the ancient family team [Gods/Goddess/Ancestors/Tree/and other helpers] I find important. The shift our family made created a gap in “how” we as a family were going to handle celebrations. The first thing I did was instituted the “toast”. With part of the family still very Christian and another part atheist now, it has become part of the family tradition now. I have only one grandchild and realize the need to set in place a way of life that might maybe will be passed down. As you shared in an academic approach definitions can become slippery. Every term I think of using to describe my spiritual path has problems as you shared. Heathenry sounds good but all I can think about is people that run around without any planning or care about home and family. That is not true but I can’t get that out of my head. A Witch has the same problems. Maybe in the years a head a new term will develop as the new path of the old actually passes the infancy that it is still at in history. Today I agree with you that the lack of cohesiveness in search the Pagan path has the ability to see it fade into the abyss of history. Hopefully the principles and mystical side can find a foothold. Yet, I am extremely “gun shy” of any organized religion because of my past experience. I attended an Icelandic event in Seattle Nov 16 on the Sagas. They firmly believe as a country it is the responsibility to maintain an archive of that literature at a government level. I have been passed by my Mother the family archive of genealogy. That is important to me to clean up and leave in a usable resource for the family. I was completely against in my younger years of comparative religion. I wanted “purity” “perfection”. Now I have a saying – “Perfect is not Perfect”. I have maybe 10 good years ahead. In Buddhism this is the age to prepare for your next life. In doing that walk I am again sifting through spiritual ideas, principles and practices from any tradition to apply to these 10 years and hopefully pass to my following generations. I will keep browsing your site and stop by periodically for stimulating ideas. Paganism – I have never liked this term either. The first time I saw the term “Pagan religion” I spent a ridiculous amount of time trying to find out what exactly that was! I do feel that it is of mostly European construction. It seems to me that it was, as you mention, used to mean “not Christian” but I might add as a very derogatory term. If your were Pagan in medieval Europe your were likely thought to be Satanic. This was ignorant as many of the religions or practices that they called Pagan had no concept of Satan. The reason I feel it is specifically European is that first of all this is how Christians in Europe refereed to all non-Christian practices or faith. The other reason is although it did have a connection to Nature worship they did not refer to aboriginal practices as specifically Pagan. Esoteric Buddhism is non-Christian and has at it’s core the idea that the practitioner can influence the natural world but they do not refer to it as Pagan either.